This tour is designed to show off the best of the mountains and natural beauty and diversity of Nepal.The first part of the tour also provides an insight into the culture of the Kathmandu Valley.One night is spent at a resort in Nagarkot, a hill station on the valley rim, for some superb views of the Himalayas.A further two nights are spent in a resort in the well kept old Newari town of Dulikhel, also with some spelendid mountain views.One of our days at Dulikhel is spent travelling to the monastery of Nama Buddha a famous Buddhist pilgrimage site. After leaving Dulikhel we travel back, skirting Kathmandu and make our way to Daman another hill resort situated off the Kathmandu Pokhara road.A splendid night is spent here at a resort in Daman,a great place to relax and off the beaten track away from everyone.From Daman we head south to the Terai and on to Chitwan National Park where a further three days and two nights are taken at a lodge inside the park for a jungle safari. After leaving Chitwan we journey to Pokhara to rest up and relax in this laid back lake town with probably the best mountain backdrop in the world.Pokhara provides numerous opportunities, from the more adventurous pursuits of paragliding and zip lining or a micro lite flight to more sedate boating excursions and mountain sunrise trips.Two nights are spent here before a flight back to Kathmandu for a farewell meal and departure the next day. Day 02: Sightseeing in Kathmandu valley includes many historical and architectural monuments listed in UNESCO’s world heritage site such as Pashupatinath temple, Boudhanath stupa, Swayambhunath stupa (Monkey temple) and Kathmandu Durbar square. Day 03: Enjoy a drive to Nagarkot (nice spot for the sunrise, sunset and mountain views). En-route visit Bhaktapur durbar square. 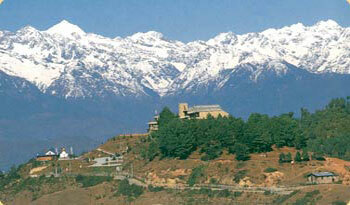 Continue drive to Nagarkot and explore around, overnight at Hotel. Day 04: Wake up early in the morning to enjoy the magnificent sunrise view over the Himalaya. On a clear day the beautiful ranges ofAnnapurna, Langtang and Everest Himalayan region can be observed. After breakfast, drive to Dhulikhel (place for sunset views), overnight at Hotel. Day 05: An excursion day in Dhulikhel. Enjoy the day hike to Namobuddha, a very famous and important Buddhist pilgrimage site. Explore around. Day 06: Enjoy a scenic drive to Daman (charming spot to see the mountains, sunrise, sunset, terraces fields). Relatively quieter tourist destination but greatly rewarding. Explore around, overnight at Hotel. Day 07: Another scenic drive Chitwan. Welcome and transfer to resort. Briefing about the trip and some jungle activities, overnight at resort. Day 08: Full day jungle activities in Chitwan national park such as elephant ride, jungle walk, bird watching, canoeing, elephant bath, elephant breeding center visit etc and enjoy the local cultural dance in the evening. Overnight at resort. Day 09: Yet another scenic drive to the beautiful city of Pokhara. Explore around lake side and visit Davis fall, Gupteswar cave etc. Day 10: Wake up early in the morning. Drive to Sarangkot, a very popular view point from Pokhara from where the entire Annapurna range including Dhaulagir, Manaslu and Lamjung can be observed. A picturesque scenery of the Pokhara valley, lakes and rivers simply breathtaking. Drive back to Pokhara and visit the many places of interest such as Tibetan refugee camp, Bindyabasini temple, Tourism museum, Mahendra pul, etc. Enjoy boating on Phewa lake and visit the famous Barahi temple. Day 11: Drive or fly back to Kathmandu. Transfer to Hotel. Relaxation and shopping around.